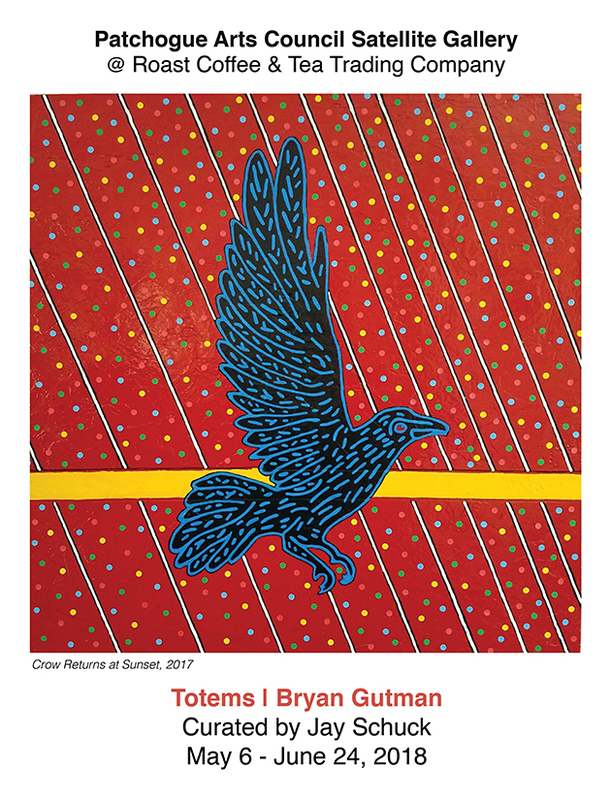 Totems | Bryan Gutman | Patchogue Arts Council, Inc.
Bryan Gutman is a fine artist who lives and works in Patchogue, NY. He received a BFA from the University of New Mexico in Albuquerque and a MFA from Brooklyn College in New York. He is the Owner and Co-Founder of Fee-Fi-Faux, Inc., a decorative painting, handmade tile and wallpaper business, alongside his wife Tina Folks. His artwork has been exhibited across Long Island at the Patchogue Arts Gallery, Heckscher Museum, East Ends Arts Council, and Guild Hall. Gutman is an active member of East Ends Arts and Patchogue Arts Council.